Rudy Gay angles for your NBA All Star votes with this parody of the Dos Equis man. Miss Arkansas Alyse Eady does ventriloquism singing/yodeling for the competition. "For years, there have been documented cases of UFO sightings around the world -- Buenos Aires, Seoul, France, Germany, China. But in 2011, what were once just sightings will become a terrifying reality when Earth is attacked by unknown forces. As people everywhere watch the world's great cities fall, Los Angeles becomes the last stand for mankind in a battle no one expected. It's up to a Marine staff sergeant and his new platoon to draw a line in the sand as they take on an enemy unlike any they've ever encountered before." Crazy flooding (think Katrina bad) is currently occurring in eastern Australia in one of Australia's worst-ever natural disasters. 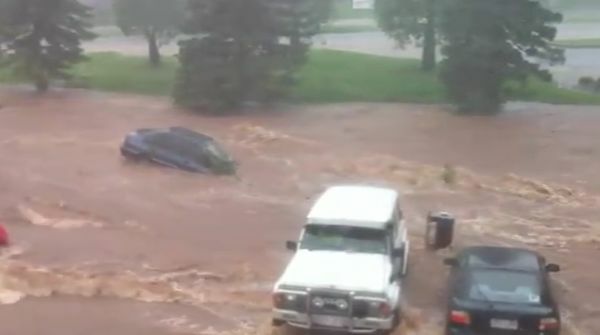 To give an idea of how fast the water can rise, the video after the jump shows the water as it overtakes the banks of the creek and starts taking cars with it. You can't see too well in the picture above but there's a guy in that SUV; he got in after the water began to rise to the cars, deflated his tires and eventually drove away to save his car from the flood. I wouldn't recommend anyone trying the same; he's really lucky he didn't get washed away and you have auto insurance for a reason. If you want to help out donations are being accepted by the Queensland government. Michael Jordan's 2009 somewhat controversial Hall of Fame Speech is a three-parter (i.e. over 20 minutes long). Some felt he wasn't classy or humble enough and took a some cheap shots at people. 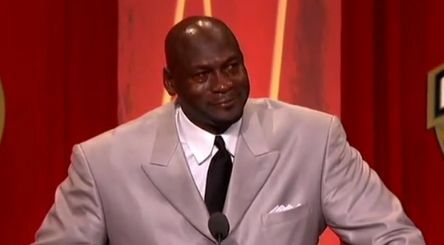 Others felt the speech was a rare honest look at the competitive man behind the marketing icon; it's probably the most unrehearsed and "real" Michael Jordan as you're ever going to get. Check it out after the jump. 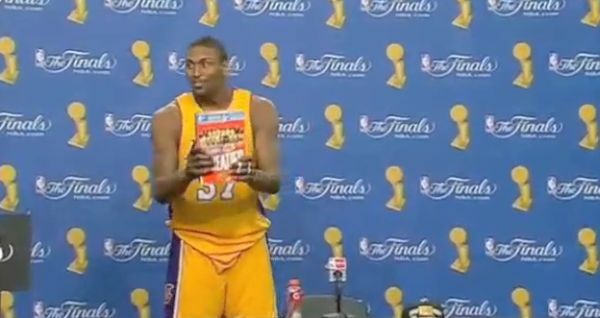 Ron Artest's Game 7 NBA 2010 Finals postgame press conference was probably one of the most bizarre postgame press conferences in sports from one of basketball's odder and, sometimes, more troubled individuals. But also one of the more honest and entertaining. Check it out after the jump. East meets West plus rampant teenage fangirlism. A couple of one-liners and hilarity ensues. Comedy gold. I like the song too. I guess it would be the President's English? I think the guy who plays Malfoy (Tom Felton) does the best job of it but pretty entertaining all around. But have you seen the response parody, Puke in My Mouth? Red Band. That's "Rated R." Must be 17 and older. 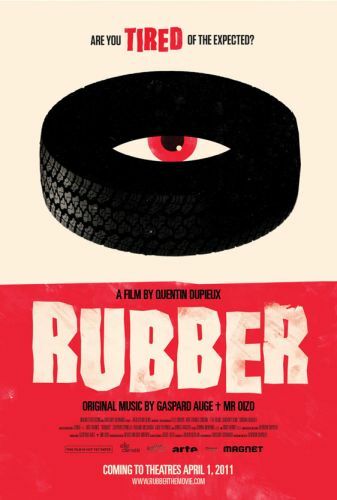 That being said, this one looks pretty funny. I like the one liners and situations from the trailer. Neat! Hopefully, he'll be able to find a job for that voice. Update 1/5/11: He got a job offer... and a house(!) with the Cleveland Cavs (among others)! Here's a bit of weird and kinda spooky in the new year: over 5,000 blackbirds fall from the sky during New Year's Eve in Beebe, Arkansas. They're going to test some of the dead birds on Monday to figure out what happened, but they're guessing it's weather related. What better way to ring in the New Year but with a punch or two or three or how ever many times punches are thrown in this SNL Digital Short. Check out the Jon Bon Jovi cameo and Guitar Hero recover! The zombies are a bit much.